I am so excited to share another crochet project that is easy to make and beginner friendly today. 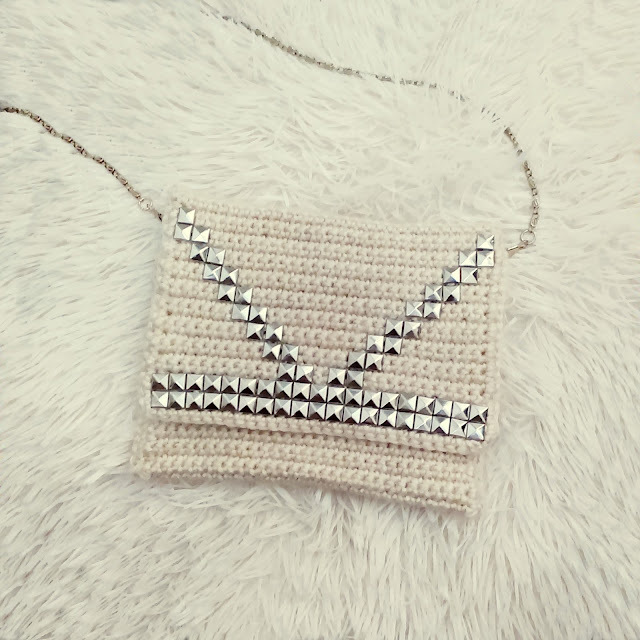 A crochet clutch that I added studs to make it look more fashionable and chic. What do you think? Cute isn't it. I guess you don't even need a pattern for this because it's so easy to make but I want to keep the pattern here in my blog so I can refer to it later for my own reference. 100% acrylic medium weight Lion Brand Heartland (136-098) Acadia. You can use any type of yarn you prefer. Approximately 90g. Hook and loop tape, studs, metal chain strap (optional). Chain stitch (ch), slip stitch (sl st), single crochet (sc). Stitches (sts), stitch (st), space (sp), next (nxt). Make a slip knot and ch 31. Sc in 2nd chain from hook and across, ch 1, turn. Sc in each sts across, ch 1, turn. Total 82 rows. 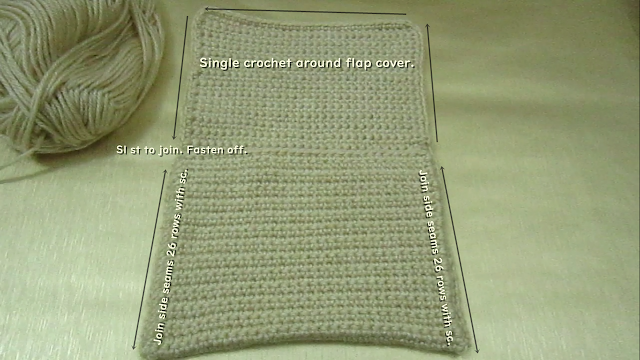 Fold and join side seams together with single crochet. Refer to video tutorial how to join side seams without breaking off yarn and where to sew the hook and loop tape. Cut hook and loop tape = 6.5 inch. 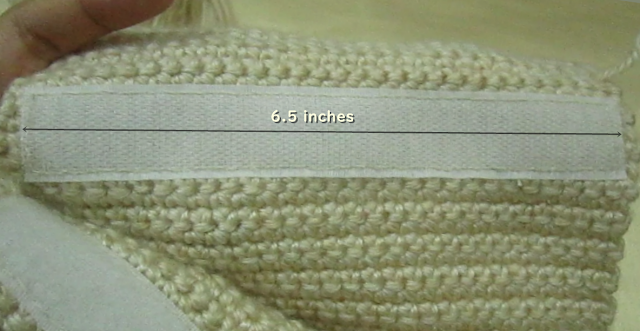 Leave 0.5 inch space on both side for side seam. You can sew the hook and loop tape inside before or after you join side seam, or use zipper whichever you prefer. Continue to single crochet around the flap cover, sl st in nxt st, ch 1. Add studs on flap cover with any design you like. You can also add metal chain strap and turn this clutch into a sling bag. 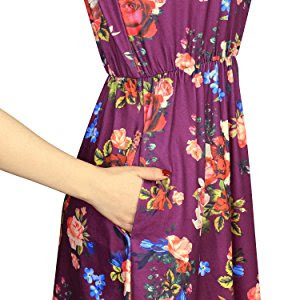 My height is 5'2" and I'm wearing this dress in size Small and it stops just right above my knee. Made of polyester cotton, with casual loose style with elastic waistline, this dress is soft and comfortable enough to wear on any occasion. 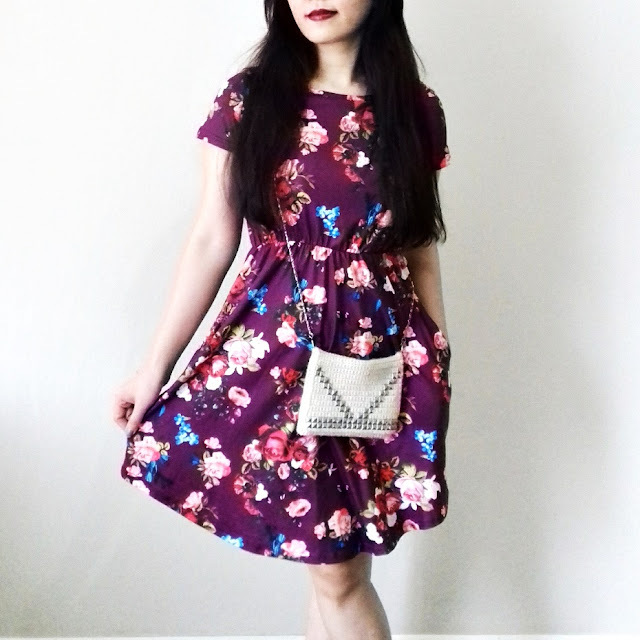 And the thing that I love so much about this dress is the pocket on both side. I can put small stuff like tissue, candy, and even my phone can fit in! Good news is when you buy from EXLURA you can get 10% off if you use my code down below.